Are you planning to go on a trip over the holidays? 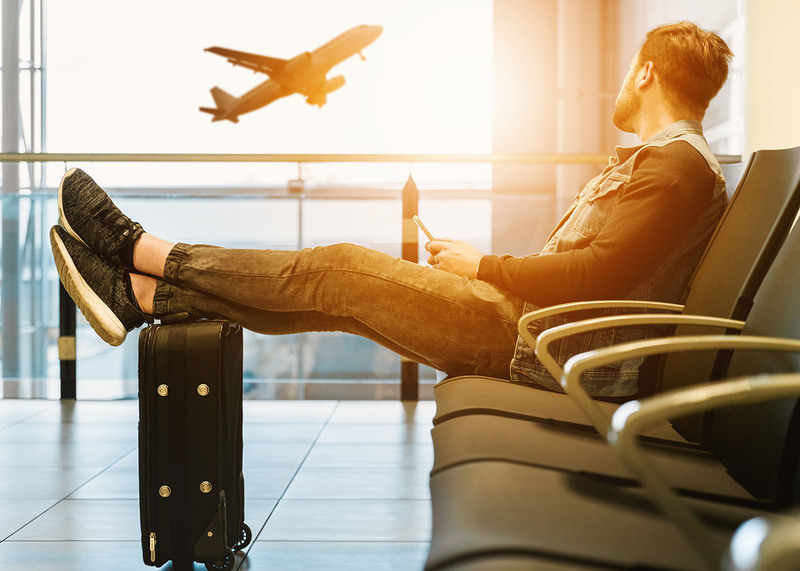 Whether you are finally taking your dream vacation overseas, or just visiting relatives for the weekend, traveling during the holiday season can get expensive. But as long as you plan early and are flexible enough, you can save a lot of money. 1. Book your transportation early or late. While travel during the holidays is expensive no matter what, you can sometimes secure a small discount by booking your trip as soon or as late as possible. If you are traveling by plane, the best time to purchase domestic tickets is around three months from the date of travel. For international flights, a longer lead time of six months is ideal. Early booking guarantees a seat and a discount. But travelers who have more flexibility and are okay with being disappointed can wait until the last minute for steep discounts. You can usually get good deals for traveling on the holiday itself. 2. Be aware of additional costs. If you are traveling by air, don't become a victim of additional fees and expenses you never knew existed. More and more airlines are charging baggage fees and eliminating free in-flight food, drinks, and entertainment. Find out what is not included with the price of a ticket and plan accordingly by bringing your own snacks and tablet loaded with the latest binge-worthy show. 3. Use local coupons and deal sites. Many travelers forget to use websites like Groupon when they travel, especially if they are are going overseas. It is good to remember that many of the same money-saving sites you use every day here in the US have foreign versions. If you plan on going the tourist route once you arrive at your destination, you can save money by using a city pass like those available from Eurail. 4. Reduce or eliminate your hotel bill. Paying for accommodations while you are away from home is most likely be one of your most significant expenses. It doesn't have to be. The most obvious money saving tip is to stay with a friend or relative. Don't worry if you don't personally know anyone where you are going. If you are up for a little adventure, there are free services like CouchSurfing or Trustroots or save money versus a hotel room by using a lower cost alternative such as Airbnb. 5. Reduce your food costs. Eating on the road is expensive especially if you are heading to a popular destination. In a tourist area, even a basic meal can cost much more than what you would pay back at home. Save money by preparing as many meals as you can where you are staying or by bringing prepared food on a shorter trip. If you are unable to carry or cook your own food, look online for supermarkets or delis which offered prepared food which can be significantly less expensive than a typical restaurant. 6. Avoid buying alcohol. Purchasing alcohol at bars and clubs is outrageously expensive. Try to keep the number of expensive cocktails you enjoy while out on the town to a minimum. Not only will you save money but you can significantly increase your safety by remaining sober. If you do choose to imbibe, try buying a bottle at the supermarket or liquor store for a much better deal. 7. Save money on exchanging money. If you are planning to travel abroad this holiday, don't wind up paying high fees for local currency. Avoid exchanging money at the airport or your hotel where you can expect to receive the lowest exchange rate. It's better to bring enough local currency with you to pay for your first day's expensive and then to use an ATM to take out cash in local currency. Find out if your bank has ATMs at the destination and learn about any additional costs for using them so you won't get a nasty surprise. Are you saving for the ultimate holiday vacation? A financial expert can help. Talk with yours about your holiday plans today.